b. I am hitting a bar shortly to watch tonights World Cup game with my new team Japan playing. Today was another day of travelling, but my last serious travel day of the trip (not counting coming home of course). It was a lazy start in sleepy Takayama this morning, not leaving until almost midday. It was nice not to rush, so it was just a small leisurely stroll to soak it in one last time and get some supplies for my 4 1/2 hour train journey to Tokyo. Seeing now that I have a lack of photos to post today I should have taken one with my host at the Takayama hostel. Talking to her this morning was fascinating… she spent 2 years in Australia working and motorbiking around the country. She proudly showed me a photo of her on the Nullabour which I have to say was quite cool. She was adamant she wanted to squeeze in my backpack and come with me she loved Australia so much. Pity she was engaged (and planning to get married in Australia no less). The trip from Takayama to Nagoya was stunning again, although I was happy to see the rain settle as I got further away from the mountains. It was then on to my last Shinkansen of the trip to get to my destination of Shinagawa in Tokyo. I was a bit worried about finding my hostel on exiting Shinagawa station, however that proved to be of no concern. 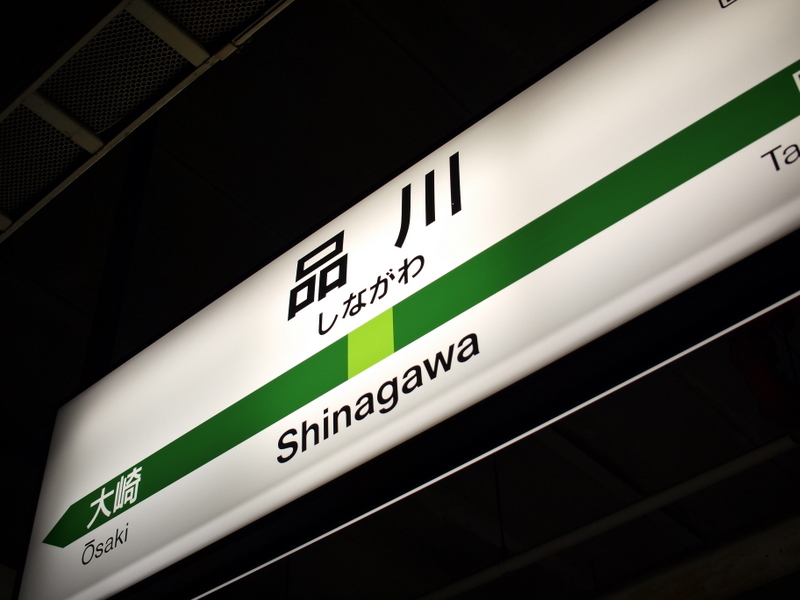 Shinagawa is a big station, but not as big as I expect some I am going to encounter will be. I went out the right exit (an important thing as those who have been to Tokyo train stations will tell you) and followed my instructions to arrive at the Guest House Shinagawa. This is a fairly small hostel, and seems like it might lack a little vibe (like Takayama), but it more than makes up for it in location. 10 minutes walk from Shinagawa station gives me easy access to virtually EVERYTHING Tokyo has to offer. The hosts seem very friendly and eager to help too, so I imagine this will be a comfortable stay. Plus within 5 minutes I had teed up to go to a local bar to watch Japan play with the main guy from the hostel, so life was looking pretty good. So knowing I had a couple of hours to kill, what should I do? Shibuya. I knew I wouldn’t have much time to wander, but I wanted to get the train system a bit sorted and start to see some neon lights, having been to one too many temples. And what better place to start than the crazy Shibuya crossing. I don’t think I have caught it at peak time yet, so you can probably expect another photo that is a bit more packed. But as cheesy as it sounds I got a bit of a rush being part of the hordes. I was finally in Tokyo. So it was just a quick wander, sniffed out a good record store (yep, already), had some eats, and am now about to head off to watch some football. Go Japan. I will let you know how it goes tomorrow. 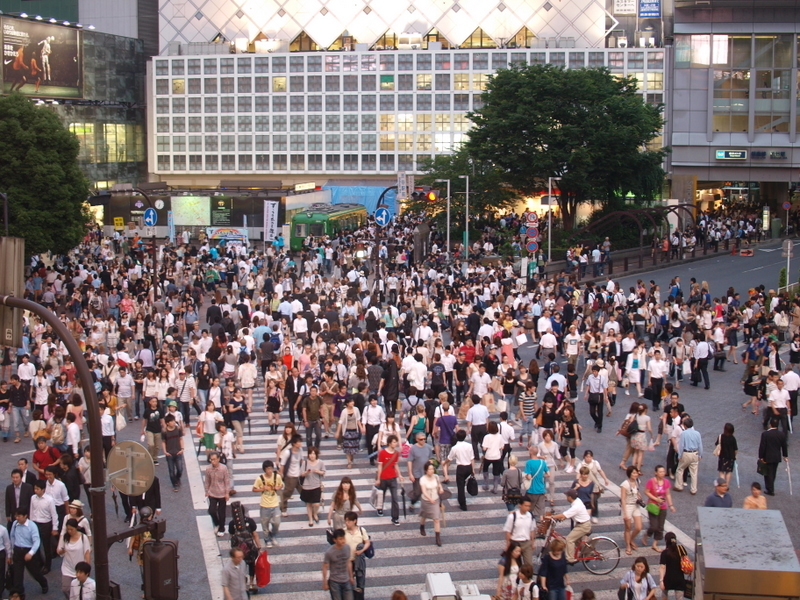 Shibuya crossing. That’s not busy – i can see gaps in the crowd. The Japan loss was a bit of a disappointment, but at least they held on until penalties!! !